There's nothing fun about running out of hot water, especially when you're in the middle of cooking or filling up the bathtub. Not only is this inconvenient, but likely indicative of a more fundamental problem with your water heater. If household water use has seen a noticeable increase in the past few months, then your current water heater may no longer be large enough to efficiently serve the needs of your home. "Seek a replacement if your water heater is too small for your household." This should also be a consideration for homeowners who recently moved to a new home and feel as though their home's hot water doesn't last as long as it should. Chances are, the previous family was unknowingly paying extra to use an undersized model. In these scenarios, the only way to resolve the problem is to replace the heater. The best way to avoid the extra costs and annoyances that come with operating an incorrectly sized water heater is to rethink your strategy from scratch and consider the tankless alternative. There are numerous perks for decentralizing hot water generation in your home, and eliminating hot water shortages from your home life is just one great solution. One of the main reasons that you should consider replacing your underperforming water heater immediately is because no amount of maintenance or repairs can solve the problem. 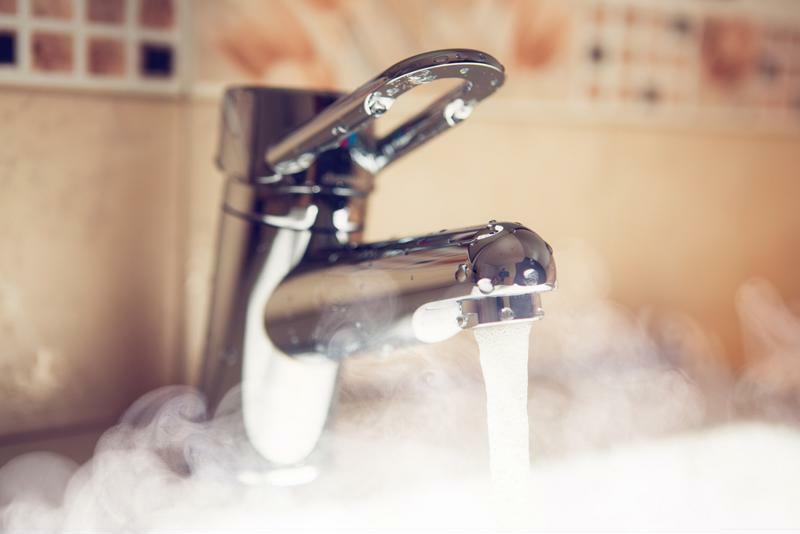 If your home needs more hot water than your appliance can generate over a certain time period, there's no way to increase the flow of hot water. That's why these appliances are so carefully sized during new construction and retrofits. Without a means of improving the performance of your water heater, you're better off selecting a replacement. The Orange County Register noted that tankless water heaters are especially helpful for homes with extra large bathtubs and other points-of-use that consume large volumes of hot water. A tankless upgrade ensures that members of your household can fill the tub, do laundry or clean dishes without fear that performing these chores will use up the entire home's hot water supply. These models heat on demand, so by going tankless you guarantee that you'll always have hot water available when you really need it. You could address an undersized heater by simply purchasing a replacement model with a larger tank, but this strategy comes with numerous complications that might otherwise be avoided by simply going tankless. For example, the Omaha World-Herald pointed out that standards passed in the past year by the Department of Energy resulted in a manufacturer shift last April. Standard water heaters are now larger and more expensive than ever to account for the latest DOE regulations. That means simply replacing your old water heater with a slightly larger model has become next to impossible. These changes have also minimized the price gap between tankless and standard heaters, making it more feasible for homeowners make the green choice and install a water-saving tankless heater. Tankless heaters promise reliable, safe hot water generation. Some households, such as a multi-story home with spread out points-of-use, are incompatible with the limitations of standard heaters and centralized hot water generation. It makes very little sense to heat a third floor bathroom with water stored in the home's basement, for example. The cost of energy lost as the water travels through the home's plumbing will come out of your pocket sometime down the road. Tankless models are exceedingly compact and exceptionally efficient. Convenient size and reliable performance make these heaters a great choice for homes with several stories.